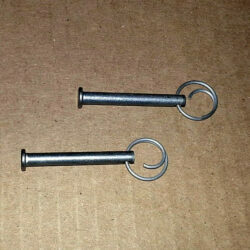 3/16 diameter x 1 ½ inch long stainless steel clevis pin with stainless steel retaining ring. 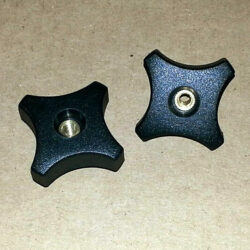 Set of 2 per order These pins are used to engage in the dock mount slots to position the Cradle height. 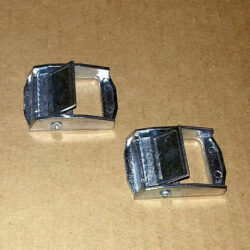 Stainless Steel Snap Buttons Set of 2 per order These pins are used to secure the Handle to the Cradle. 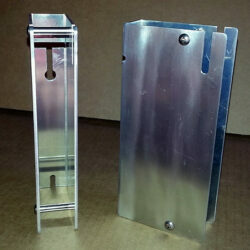 Use these stainless steel screw anchors to mount the surface mount to your dock. 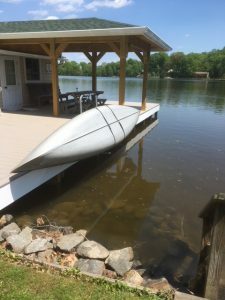 These anchors require access from the top side of your dock only. Screws not included. Set of 2 per order. Thermoplastic, 4 prong hand knob with ¼-20 threaded brass insert Set of 2 per order These Hand Knobs secure the Tool Free Mount to the dock. 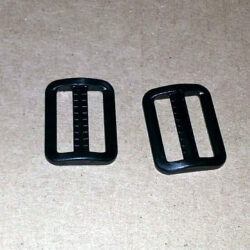 These slides are used to position and hold 1 inch wide webbing / strap ends to maintain a neat and clean look. Set of 2 per order. 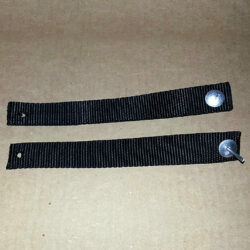 These Velcro one way wraps (Hook on one side / Loop on the other) replace the Security Straps on either the Bolt On or Clamp On Mount. 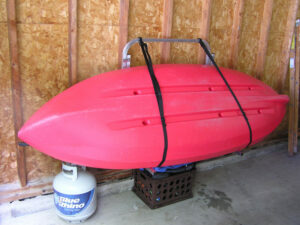 ¾ wide by 16 inches long and includes a push pin for installation. Set of 2 per order. 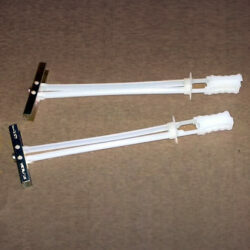 These polypropylene Straps are attached to the Handle and hold the cam buckles in position. #14 x 5/8 stainless sheet metal screws included. Set of 2 per order. 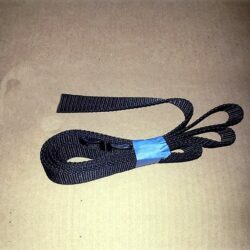 These polypropylene webbing Straps are attached to the cradle and handle; lifting your vessel from the loading position to the storage position. Set of 2 per order. 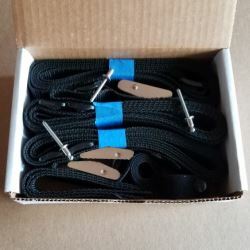 This polypropylene Webbing Strap attaches to the cam buckle on the center of the handle; providing a means to pull your Kayak / Paddle Board up and into the storage position of your Dockside Kayak / Paddle Board Lift & Storage Rack. 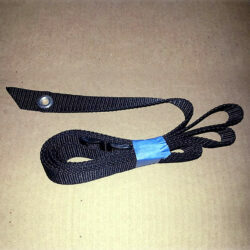 1 Tether Strap per order. 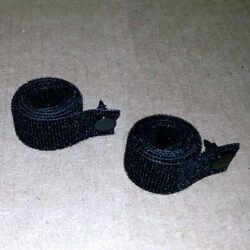 These Strap Replacement Kits are intended to provide everything that is required to replace the straps for your DockSider Model. See the various options listed below. These Wall Mount Brackets convert your Dock Rack to A Wall Rack, Just Hang these bracket 32 inches apart on a Wall 32 and hang your DockCraft Cradle Assembly. Hardware not included. Set of 2 per order. 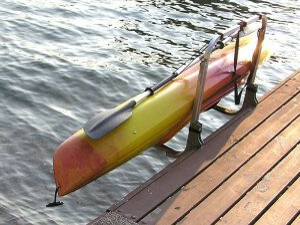 Install your Kayak Dock Rack to your Dock Decking with this Bolt On Mount. 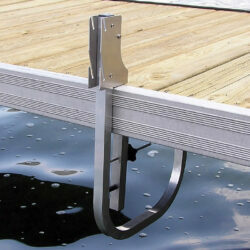 Details available: Bolt-On Mount Dock Configurations Guide [pdf] Set of 2 per order. 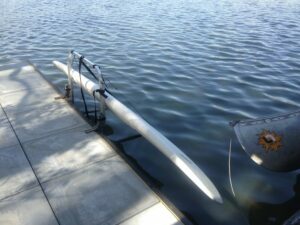 Install your Kayak Dock Rack to your Dock with this Clamp On Mount. 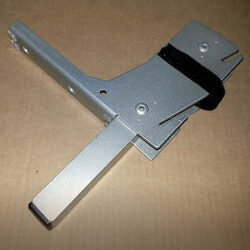 Details available: Clamp-On Mount Dock Configurations Guide [pdf] Set of 2 per order.